When I first saw the white dog in the high-kill shelter, he was spinning in tight circles, drooling and panting. It was 2001, and the dog was skin and bones – barely 25 pounds. He had wounds all over his body and scarring on his face. His cage card had a hand-written note reading “Owners contacted, will not pick up” – along with a large red “PTS” (put to sleep) and the previous day’s date. I love a challenge, but this dog looked miserable and past the point of help. Knowing that as soon as I left the shelter he would be put down, we took him out in the yard to throw a ball for him and let him have some fun. But as soon as he was out of the noisy and crowded shelter, his whole demeanor changed. His eyes got bright and he had intense concentration on the tennis ball that he brought back to me. I threw it as far as I could and went to call him back. Realizing he had no name, I called the black and white dog Dice. And that was it. We walked him back into the shelter and out the front door, loaded him into the truck and he never went to another shelter again. Dice became instant buddies with our other young Am Staff, Jamie, and began his rehabilitation as part of our family. He had severe stress-induced OCD and spun in tight circles, biting at his leg constantly. He had a large open wound on his leg and most likely had chewed his own tail off. It took a few years, but Dice eventually became a fairly normal dog and settled into life at our home. With a lot of work, his OCD-induced spinning has decreased. Over the years, Dice has excelled at all sporting activities. He loves trips to the beach to body surf in the big waves, hiking in the hills, underwater diving for rocks, and, his latest event, dock diving. 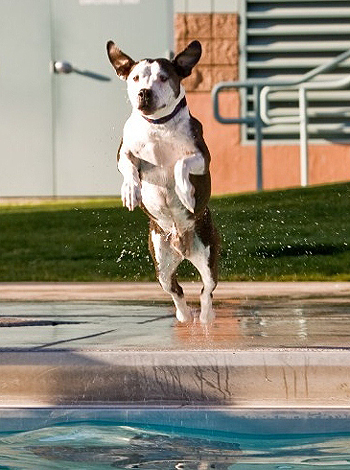 At age 9 and only 19 inches tall, Dice is jumping about 15 feet. This spring will be his first official dock diving competition and we hope to bring home the win for pit bulls in the amateur ranks. Although he loves agility, obedience, flyball, swimming and any sort of fetch, his true passion is snuggling on the couch and being guardian when I’m home alone at night. He is such a wonderful guardian that I had him tested with the State Patrol as a possible detection dog. However, even though he got the highest qualifying scores that the evaluator had ever seen, he was not allowed into the program. Why? He’s a pit bull. During the past 10 years, I’ve come to realize that I can’t imagine our house without Dice. He has been a “foster dog” for numerous rescue puppies, and even though he was once a scrawny, tail-chasing dog, today he’s a positive pit bull ambassador, teaching people about Am Staffs and other rescues. He’s also taught me something I hold especially close to my heart: it’s about the unconditional love these dogs have to offer. It’s amazing that a dog who came from such deplorable conditions can give so much to everyone he meets. Dice is a classic pit bull; he lives his entire life to please those around him. His big pit bull smile is infectious – from his big, toothy grin to his wagging knobby tail. Rescuing pit bulls isn’t always easy, but nothing is more rewarding than being able to give others the opportunity to share in the love and companionship these dogs have to offer. That love has inspired me to start a new local program to reduce the number of pit bulls coming into shelters. 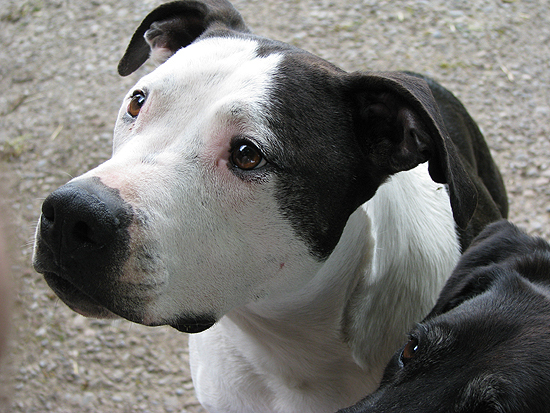 Through the Palouse Pit Bull Project, people with pit bulls will be able to apply for free spay/neuter and low-cost obedience training. We’ll be doing breed education and positive community enrichment, too, and it will all operate under our non-profit no-kill animal shelter. I hope to have funding to start the program this summer. All over the country, dogs like Dice are still ending up in shelters where they don’t have a chance. Every one of them has a story. And whatever has happened to them, it’s up to us to make sure each story has a happy ending. 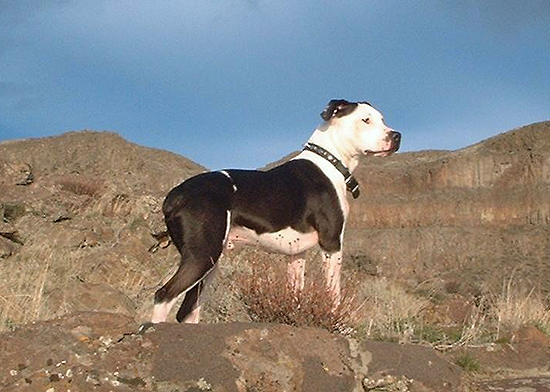 For more information about the Palouse Pit Bull Project, go to [email protected]. Great story. Thanks for rescuing Dice and for giving other pibbles a surviving chance. Good luck with your new endeavor. Would love to hear a follow up story once the program is up and running for a little. Thanks for your support. 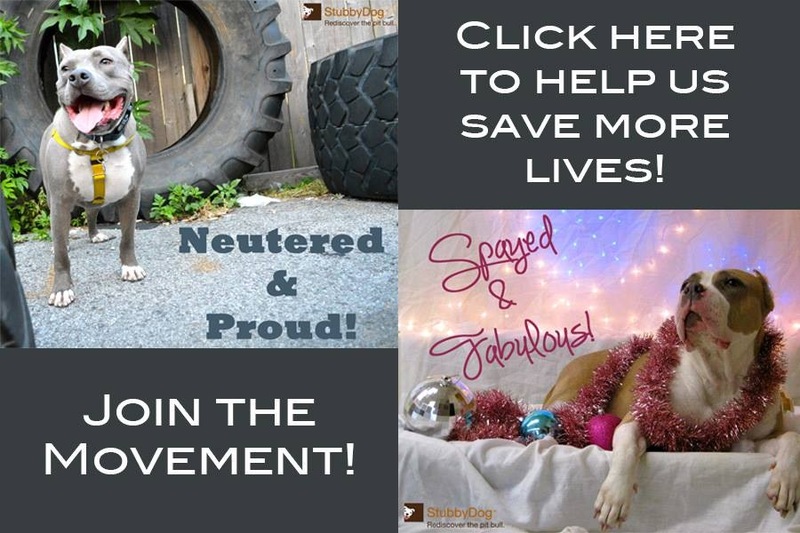 We would love to follow up and see what’s happening with the Palouse Pit Bull Project. Thanks for commenting. Lori is my daughter, so I know Dice well. He was a neurotic mess with his spinning when I first met him. He’s now a real love. He’s good with people (especially if you’ll throw a ball) and is really good with other dogs that Lori has fostered. Lori has an AmStaff, a deaf young pit that she’s been working hard with to train to hand signals, a lab, a pointer, and three cats. Dice gets along well with his whole family. Thanks for sharing Cindy. Dice sounds like he is going great and is lucky to have someone like your daughter in his life. Lori is a dear friend of mine and her love for these dogs and the love she has for teaching the public about how great these dogs are…well there are no words to describe it. She does wonders for them. Dice is a wonderful dog, I remember him well and remember some very silly things he has done. I applaud Lori for her work and dedication. With out her many dogs would suffer and never be able to show just how great they can be. Thank you Lori, you are doing an excellent job.